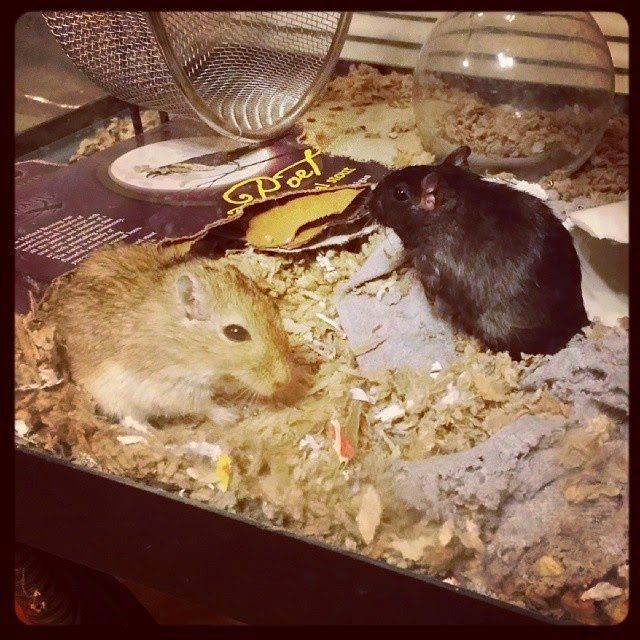 This is Tilty and Cat Woman, my two remaining gerbils. They are sisters and are roughly two years old. Tilty got her name due to a head tilt she has that was initially caused by a fall and then later pronounced by a small stroke she had. Cat Woman, well, her color explains her name and her brother is named Bat Man…it seemed fitting. These two are pretty friendly for gerbils – I can pet them and touch them and they will take food from my hands, but as with any gerbil, they do not like to be picked up! They are fun to watch though.